<b>In celebration of the first female Doctor Who in history and the new TV series airing October 7, 2018! Bestselling author David Solomons delivers a super smart and vibrant new heroine in an original adventure bursting with action and humor.</b><br><br>The Doctor has never faced a challenge quite like this.<br>A sinister school where graduation means death . . .<br>A monstrous mystery lurking beneath a quiet London street . . .<br>A desperate plea for help delivered by . . . Hang on. A potted plant?<br><br>The Doctor has been summoned. The galaxy is in terrible danger, and only a Time Lord can save it. But to do so, she must break into the ancient Galactic Seed Vault. And at its heart lies a secret: Vault 13. The Vault has remained unopened for millions of years and is located on a remote and frozen world--from which nobody has ever returned alive. 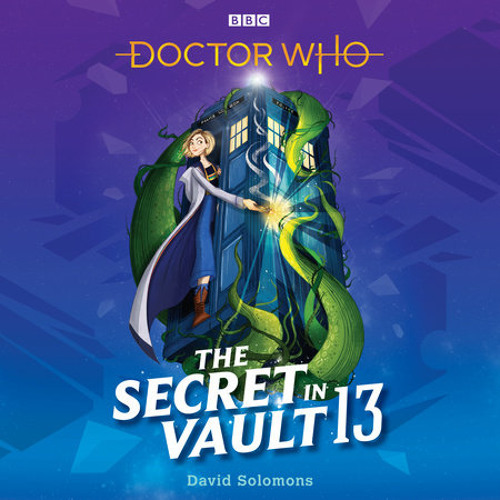 . . .<br><br>Can the Doctor and her friends Yaz, Ryan, and Graham uncover the shocking secret in Vault 13?